After a stressful week in college, well not too stressful but you know what I mean, the weekend comes and you just want to relax and take it easy. It has become a routine of mine to head into the Saturday morning food market with friends and just wander around. I don’t need to buy anything but I just love walking around and smelling all the fresh food. There is something oddly calming about the hustle and bustle of the morning market as people try to get everything done before their Saturday lunch. It is also a great way to get out of my room so I don’t end up spending my whole weekend on my bed, on my laptop. 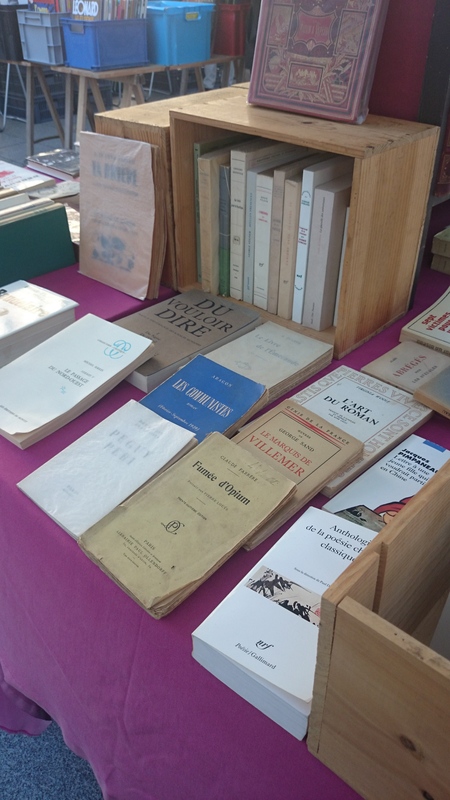 This Saturday we stumbled across a little gem and that was a second hand book market. It was only a two minute walk from the food market but a world away. It was so calm and peaceful, it made me think of it as an outdoor library where you were nearly afraid to ruin the silence by talking. 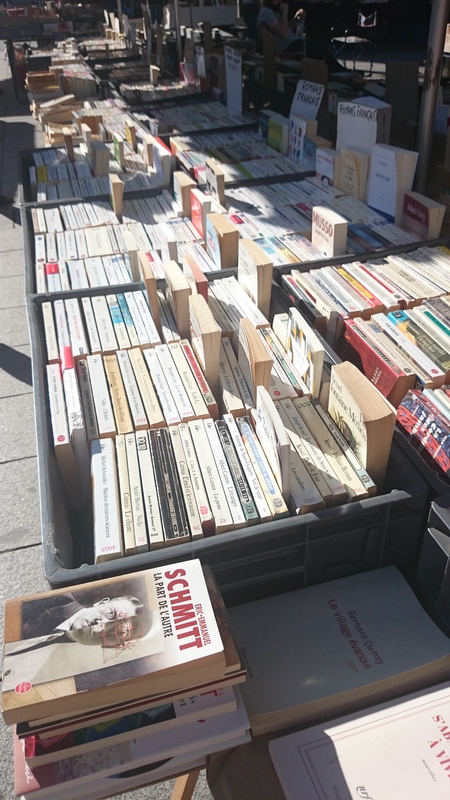 There was almost every book under the sun on offer from comic books, children’s books, classic literature, modern fiction and even some old hard leather bound books that looked amazing. 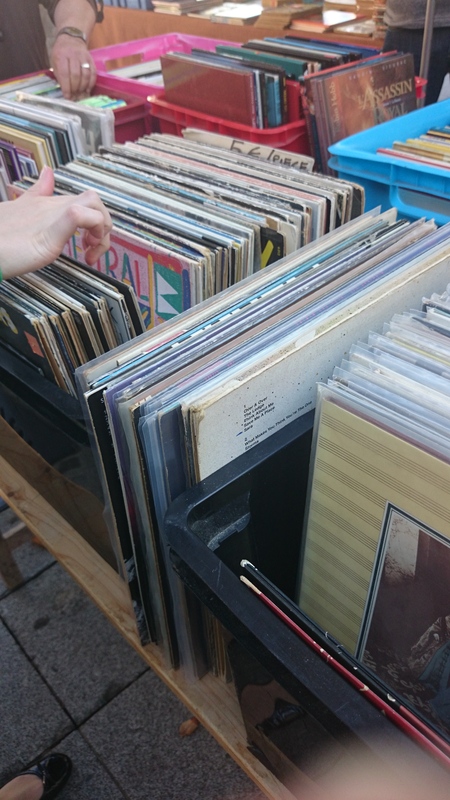 They even had a few old vinyl’s which I know aren’t books but they all helped add to the atmosphere and I haven’t seen them in ages. 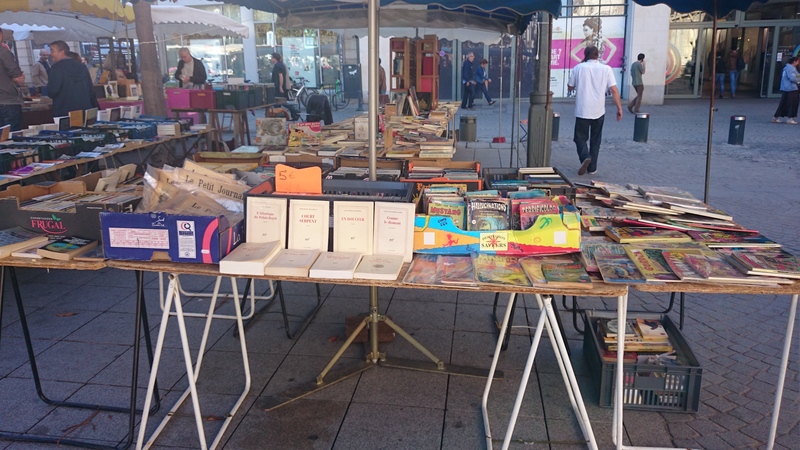 They had some English books but we were on the look out for some French versions of Harry Potter but unfortunately had no such luck this week but I’m sure we will head back again next week and try again. For someone who really appreciates books , I work in a bookshop you know, this really was such an amazing place for me to find. I love to read and could be called a book nerd I suppose but I do love a good book. 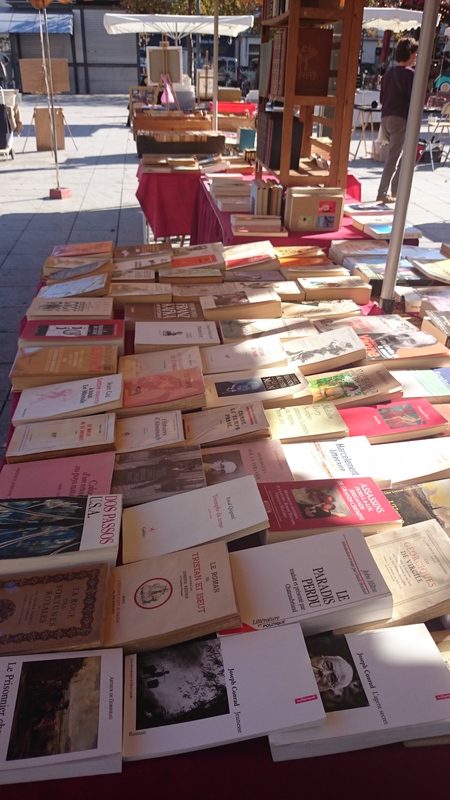 It was nice to see that even in this digital age of tablets and kindles that the good old fashioned paperback was still thriving in this little market. There is nothing better than holding a book in your hands, smelling the crisp pages and the sound of rustling as you turn the page to see what will happen next. 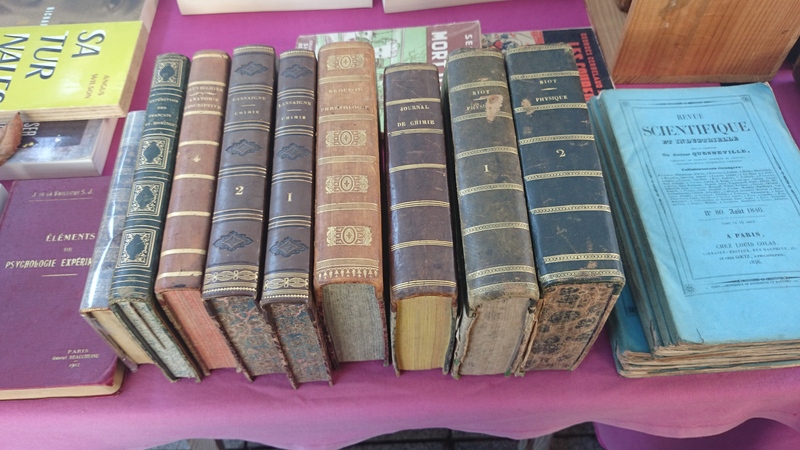 The books that were on sale here were second hand and I like to think that they have an added story attached to them from their previous owner, giving them an extra bit of history. 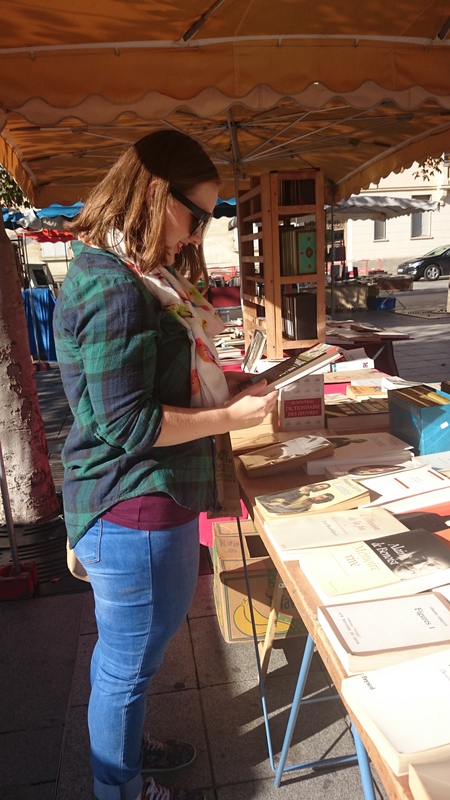 I have no doubt in my mind that this little book market will become part of my Saturday morning routine just like the food market has and you never know I may find some little gems hiding away.